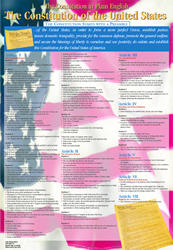 AJS Publications is your partner for teaching constitution and citizenship units. Our low cost, high quality educational materials are always fresh and updated, making it the choice of schools across the country. Reasonable Pricing and Ordering Made Easy! Click here to learn more. Request a Free Sample Copy of our Materials! Click here and we will rush you a copy. 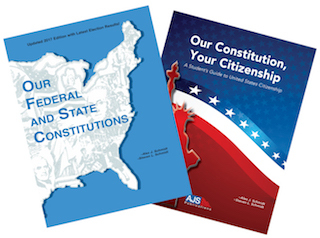 AJS Publications has been providing low-cost, high-quality educational materials on the constitution, citizenship, and government for over 50 years. The content and format make it one of the most popular workbooks on the market. Our materials are used by teachers across the country to meet state and federal curriculum requirements. 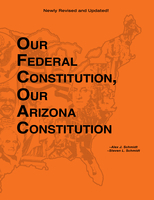 The materials are always fresh, updated regularly to include the latest government officials, legislation, and relevant constitutional topics. Our Federal and State Constitutions is a concise 72 or 80-page streamlined worktext tailored to fulfill the required study of constitution and government units. The materials are written in an easy-to-read and understand format designed for students of all ages and abilities. It is used in a variety of classrooms, ranging from elementary schools to high schools to junior colleges to adult education. Now available, separate worktext for the Federal Constitution (56-pages) and Illinois Constitution (32-pages). Teacher materials and testing program are FREE for orders of 20 or more student copies! Our Constitution, Your Citizenship is a new 56-page worktext to support the study of United States Citizenship. This enhanced guide covers all the subjects covered in the national test. 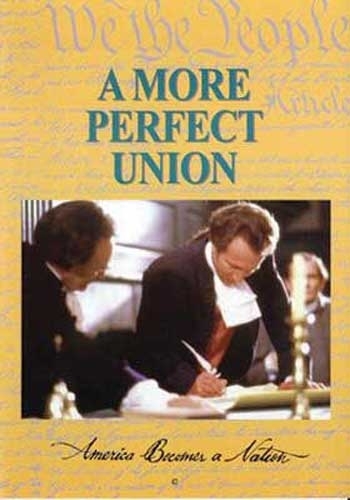 Sampling includes the key events and extraordinary individuals that shaped our nation, the structure of our government, our national holidays and celebrations, our constitution and amendments, and much more. 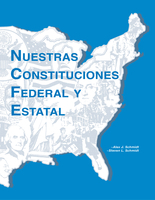 The materials are written for middle and high school students, for all levels and abilities. Review questions and self-tests help reinforce the concepts of the worktext. Do you need a digital version or eBook of any of our materials? 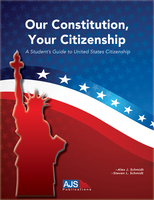 AJS Publications has partnered with EdTech to provide our Constitution and Citizenship materials in a digital format. Perfect for schools utilizing Chromebooks or iPads in one-to-one programs. Our team will aid in the school setup, support, and management of the digital content. 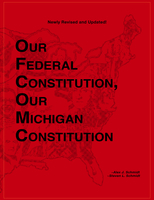 For immediate purchase of a digital edition, simply click on the link attached to each worktext. For entire school or classroom quantities, we offer special pricing with eBook only or coupling with our print edition. Teachers can add their content to enrich the learning experience, such as quizzes, images, YouTube videos, audio files, worksheets, and more. Please contact us for additional information or to schedule a demo. Our Federal and State Constitutions is a concise 72 (or 80)-page streamlined worktext tailored to fulfill the required study of both the federal and your state constitutions (and government). 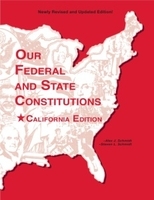 There are several other tools that will aid in your teaching of government and constitution units. Accompanying materials include posters, crossword puzzles, tutorial testing software, and card games. Engaging DVDs at Low Prices! Support the worktext by showing these quality DVDs! Videos are an essential teaching resource and get students more engaged, resulting in more lively participation in the subject matter. The NEW 2019 Edition is now available! Reasonable pricing, as low as $6.45 each! New Worktext Available summer 2019! Contact us for details.